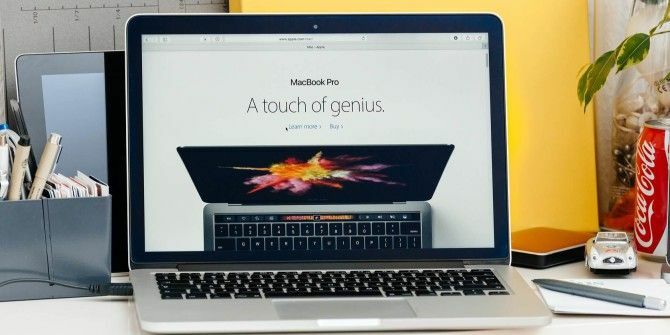 For the first time in several years, Apple has refreshed the MacBook Pro line Apple Unveils New Touchy-Feely MacBook Pro Apple Unveils New Touchy-Feely MacBook Pro Apple has taken the wraps off of its brand new MacBook Pro. It's a beautifully designed piece of hardware, with several innovative touches and some annoying caveats potential buyers will have to beware. Read More . The newest model’s headline feature is the Touch Bar, a small touch-screen strip at the top of the keyboard that replaces the function keys. Since this strip is context-sensitive for the app you’re working with, it has potential to be a new way of interacting with your computer. However, there’s a massive price barrier to trying the new Touch Bar. The cheapest model, at $1,500, doesn’t even include the new feature. You’re looking at $1,800 just for the base model with the Touch Bar, and that doesn’t include all the money you’ll be spending on dongles Apple Is Forced to Make USB-C Dongles Cheaper Apple Is Forced to Make USB-C Dongles Cheaper Apple has cut the price of its USB-C adapters. Because it turns out people still use USB-A and HDMI, and don't want to pay top dollar to use their own peripherals. Read More since the new machine only has USB-C ports. Thankfully, skillful developers have stepped in and provided a way for you to try out the Touch Bar for free. Their Touch Bar Demo App is a free download that lets you use the Touch Bar on-screen on any MacBook or desktop Mac. If you don’t mind spending a bit of time on the setup, you can also get it running on your iPad. Follow the demo instructions to get the app running on your Mac. You’ll need to make sure that you’re running the latest version of macOS, which has Touch Bar support. Then download the ZIP file from the release page. This contains TouchBarServer.zip, which enables you to run the Touch Bar demo on your Mac. Simply drag it to your Applications folder like you’d install any other software The Best Mac Apps to Install on Your MacBook or iMac The Best Mac Apps to Install on Your MacBook or iMac Looking for the best apps for your MacBook or iMac? Here's our comprehensive list of the best apps for macOS. Read More , and press the Fn key to toggle the Bar. To get the iPad app running, continue to follow the developer’s instructions and you should have everything up in just a few minutes. Are you interested in the Touch Bar, or is the new MacBook Pro too expensive for your tastes? Let us know what you think of the demo! How to Use Your iPhone as a Webcam: 5 Methods That WorkAre Cheap MacBook Adapters Safe or Worth It?